Buy three, get one Free!!! Our office offers a FREE box of contact lenses for each 3 boxes purchased. ​This saves our patients 25% on annual supplies of contact lenses. Manufacturer's rebates are also offered. We offer a FREE infant eye examination to our patients to ensure your baby's eyes get a healthy start. The best time to solve vision development problems is during infancy. Examining your baby is fun and painless. Don't miss this opportunity...Call now. Sun protection is not just for summer, sunglasses are just as important throughout the year. 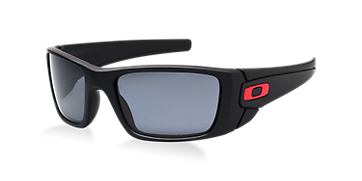 With the purchase of a complete pair of ophthalmic glasses, a second pair of prescription sunglasses is 50% off!! With brands like Oakley, Smith, Ray Ban, and Kate Spade along with the best premium lenses in the industry this is an opportunity you cannot miss! !